Very Good. Book. 12mo-over 6¾"-7¾" tall. A nightmare story surrounding an Indian burial ground. Eighteenth Imp. New English Library 1990. viii + 423pp pb spine slightly creased, pages browned, vg. This is the scariest King book ever. Dr. Louis Creed and his wife Rachel think that a quiet small town in Maine is the best place to raise their two small children. After the family cat is killed by a car, his elder neighbor tells him the legend of the local Pet Semetary. The ancient Indian burial ground that has the power to bring back the dead but the ground has gone sour, whatever goes in comes back wrong. Louis doesn't heed his neighbor's warning and decides to hide the cat's death and buries him in the cemetary. The cat does come back, but he comes back not the same. He's nastier than before and stinks. Soon tragedy strikes again but this time Gage gets struck and killed by a fast moving truck. This time Louis decides to bring back his son and bury him in the cemetary. Bad move... You'll want to keep your lights on at night after reading this one. 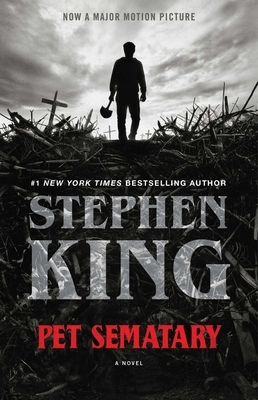 Pet Sematary: The story of a family, the father of which gets caught up in bringing their cat back to life after it is killed while the rest of the family is on vacation. Great book, will keep you up at night!